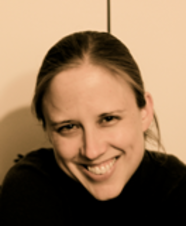 Katherine White, PhD joined the Psychology Department at the University of Waterloo in 2010, after completing her PhD in Cognitive Science at Brown University (Providence, Rhode Island, USA) and postdoctoral research in the department of Brain & Cognitive Sciences at the University of Rochester (Rochester, New York, USA). She studies the earliest stages of language development in infants and toddlers. Dana completed her Bachelor of Science (Bsc) Honours in Psychology and MA in Psychology from the University of Manitoba. Her MA project examined infants' ability to hear speech directed at them in a noisy, multi-speaker environments. Currently, she is in the PhD program investigating toddlers' and adults' ability to understand children's speech. Her other interests include the development of vowels in bilingually exposed infants, and examining noise levels across child care environments using LENA. ​ Emily Shiu completed her Bachelor of Arts (BA) in Psychology with a Japanese Certificate I from the University of Waterloo. Currently, she is in the Masters of Applied Science program. Her research interests include adult studies in bilingual language development - particularly in Cantonese-English bilinguals. Ashley completed her Bachelor of Science Honours (BSc) at McMaster University in Psychology, Neuroscience and Behaviour. She is currently completing her Masters of Applied Science at Waterloo. She is interested in how audio-visual speech impacts speech perception and learning in infants. Sarah is currently in her fourth year of a Bachelor of Arts in Honours Psychology with a minor in Social Development Studies. She is the Lab Coordinator for both the Lab for Infant Development and Language and the Developmental Learning Lab. Upon graduation, she hopes to pursue a Masters of Social Work degree. Ashley is currently in her third year of a Bachelor of Science in Honours Kinesiology, with a minor in Psychology. She is the Community Testing Coordinator for both the Lab for Infant Development and Language and the Developmental Learning Lab. She hopes to continue working with child development and pursue a career in Pediatric Occupational Therapy. Bronte Smith is in her fourth year of a Bachelor of Science in Psychology with a minor in Biology at University of Waterloo. After Graduation, she is interested in pursuing a career in Speech Language Pathology. Phoebe is in her fourth year of Honours Psychology (BA). In the future she hopes to pursue graduate studies in Developmental Psychology. 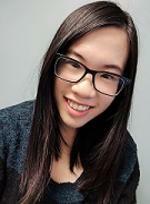 Janey is in her final year of Bachelor of Arts (BA) in Psychology at the University of Waterloo. She is currently interested in research on visual-auditory associations in language-learning and hopes to continue her studies in developmental psychology. Rebecca is completing her third year of a Bachelor of Arts in Honours Psychology with a Research Intensive Specialization. She has a history teaching ESL with children, which inspires her interest in language acquisition in infants. Assisting the LIDL research team is an essential part of her growth as an undergraduate student. She hopes to pursue graduate school in the stream of developmental psychology and eventually conduct research full-time. Rachel is in her fourth year of Arts and Business, Honours Psychology (BA) at the University of Waterloo. She is currently researching children's imagination, as well as their beliefs about and processing of accented speech. She hopes to pursue graduate studies in either clinical or developmental psychology, and would love to continue working with children. Shaneene recently completed her Bachelor of Arts in Psychology and German at the University of Waterloo. She hopes to pursue graduate studies in Developmental Psychology. ​ Annika is currently in her fourth year of Honours Psychology (BA) with a minor in French. In the lab, she helps with a variety of lab duties as a research assistant. In addition, she is currently working on her honours thesis in our partnered lab, the Developmental Learning Lab, where she is looking at how infants use probability and physical reasoning. In the future, she plans to pursue graduate studies in developmental psychology. Riley is currently in her final year of her undergraduate program. She is in Honours Psychology, and plans to pursue Speech-Language Pathology when she is finished her degree. ​ Chloe is in her final year of her Health Sciences degree at Wilfrid Laurier University. She is very interested in the research process especially with language learning in children. In the future she hopes to pursue a career in nursing, with a focus in research. Amy is in her fourth year of her Psychology degree with a minor in Human Resource Management. Amy is particularly interested in bilingualism in language development and hopes to pursue a career in Developmental Psychology or Human Resource Management. Rachel is in her second-year psychology major with a minor in applied language studies and sexuality, marriage, and family studies. She hopes to pursue graduate studies in the future.